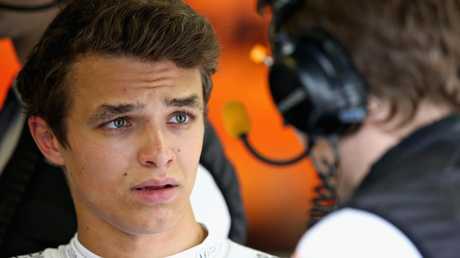 Lando Norris made the pace for McLaren in Barcelona. 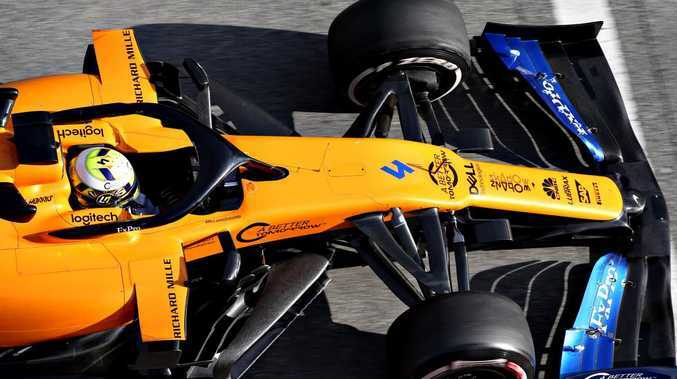 FORMULA One fired up its final four-day pre-season test in Barcelona with British teenager Lando Norris topping the timesheets for McLaren as Daniel Ricciardo insisted he was pleased with another solid session. 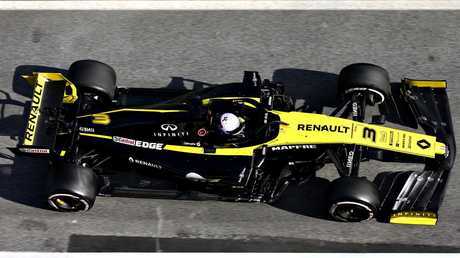 Ricciardo was 10th fastest in his Renault, clocking a best lap of one minute 20.107 seconds at the Circuit de Catalunya and putting 77 laps on the board. "It was good mileage for us today. We pounded the laps in with longer runs and also completed some aero tests," the 29-year-old said..
"It's good for me to sit in the car for a few hours to keep learning and building our knowledge of the car." New teammate Nico Hulkenberg, of Germany, also put in some useful laps in the morning session. "We achieved the most mileage of any team today, which is positive," Ricciardo said. "I missed out a bit last week in terms of lap count, so it was important today to put a lot on the board." Daniel Ricciardo got 77 laps in in his Renault. Italian Antonio Giovinazzi had been fastest for Alfa Romeo at lunchtime with a fastest lap of 1:18.589 but 19-year-old Norris clocked a 1:17.709 in the afternoon sunshine on the soft C4 tyres. The McLaren stopped twice on track, however, the first time due to an hydraulics issue. Red Bull's Pierre Gasly was close behind while champions Mercedes still lagged near the bottom. Canadian Lance Stroll went third for Racing Point on the fastest C5 tyres, ahead of Ferrari's Sebastian Vettel on harder C3 rubber. Five-times world champion Lewis Hamilton was the second slowest, just behind Mercedes teammate Valtteri Bottas, with only Hulkenberg slower. Bottas, who took over for the afternoon, completed only one lap before an oil pressure problem halted his session. Mercedes swapped out the power unit and he returned for six more laps. Gasly completed the most laps of any driver (136) on Tuesday and set his quickest lap on harder tyres than Norris. Williams had a more encouraging day, after missing most of the first test due to the late build of their car, with British rookie George Russell putting in 119 laps. 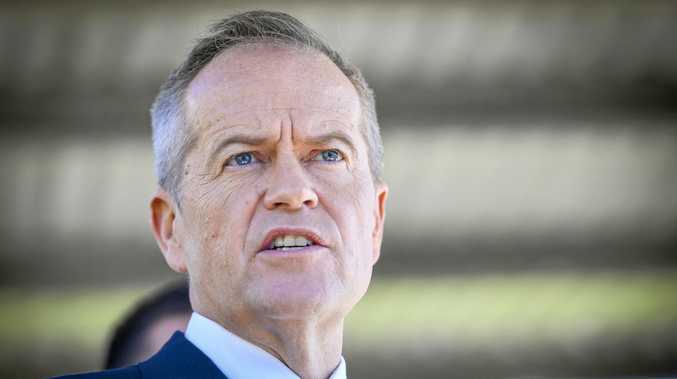 The Formula One season begins at the Australian Grand Prix in Melbourne on March 17.